How’d you get your start in racing? I started racing when I was five. Both my parents were cyclists. I just started going with them all the time to do little kids’ races. The kids racing scene was not even close to what it is now. It was like a couple laps in a field, when I started racing. When I was seven I did my first amateur adult mountain bike race. I raced mountain until I was 13 or 14, then got into road a little bit. And not long after that I started doing cross. Do you remember what your first mountain bike race was like? I remember my first adult race. It was at a place only a couple miles from my house. It was at Clifford Park in Biddeford, Maine. It was so technical. I was so freaked out. It was still some of the most technical riding I’ve ever done. It was so crazy. I was just coming down to go across the finish line and endoed down a hill and rolled across the line. It was a good learning experience I guess. I feel like a rough experience like that would’ve turned them off of racing. That’s for sure. My dad raced with me. He stayed with me and I got to have him motivate me and push me along. Had I just been thrown to the wolves, I would’ve had a worse time. How did you make it from those early days of racing up to the pro ranks? I did my first cross race with my parents four years ago now, I think. I definitely was just a crazy mountain biking girl. But you could be a pretty good mountain biker in New England and not quite understand a lot about really competitive [cross] racing. A lot of mountain biking in New England is just about having the technical ability. With cross you need to know a lot more about racing, in general. My first race was a total mess. I started last out of 90 girls. But I fell in love with it after that first race. It was the Cycle-Smart International in Northampton, which is the town next to where I’m living now. That was the only race I did that season. The next season I did the amateur series in New England racing the 3/4 women. It was a slow learning process. But I was definitely keen on it. I won my first race at the second race of the season and I think I won six races that season. I needed to upgrade, but I was too young to legally hold a UCI pro license. I think that helped me a lot in my development. I was forced to race at the front of the 3/4s a lot and continue to develop and understand the technical aspect of cyclocross like barriers and off cambers. Then the next year I upgraded. I went from winning five or six races in one amateur season to being 20th basically the entire season and just racing at the back. I was getting frustrated. I’d always been towards the top of whatever amateur ranks I was racing in. To go and upgrade to the elite women was definitely hard. But finally I got a couple of UCI points and it made all the difference because I was starting in the middle of the field instead of towards the back. I continued to race without making huge improvements, but I was getting better by a few seconds or places every couple of weeks. Then I joined JAM which is where I am now. That changed everything. Tell me more about the JAM Fund. How did that come about? I’d been working with Al for a while and I approached him saying I was looking for a cross team. He said, “why don’t you race for JAM?” I said, sure, sounds great. But I had no idea what it was going to turn into. It was a couple weeks later I started visiting the team. I was still living in Maine at the time. Eventually I moved out here [to western Massachusetts] for school. My first weekend at college I spent the entire time at Al’s house training with the team. They’ve really turned into my family. Everyone on the team mentors everyone else. It’s not just Al telling us what to do. Or just Jeremy. Everyone on JAM is helping everyone else, the coaches, the teammates, the mechanics. In a way, it’s tough love. I trained harder than I ever have in my whole life. I trained smarter. And I represented my team and myself better. It helped me really transform as an athlete. Ellen Noble at Baystate CX. Photo by Jim Murphy via usacycling.org. I interviewed Jeremy last fall and it was clear that he really wants to be a mentor to up and coming riders. Tell me about that piece of JAM. Is there a lot of focus beyond just “here’s how to be fast?” Is there an emphasis on how to be a professional? Yeah. I think that’s one of the biggest things on JAM. It’s nothing crazy to be able to give a person a bike and a jersey. But we learn stuff outside of the typical elite-level team. JAM focuses really hard on how you can represent your sponsors well and provided value to the people giving you things. They’re putting faith in you to represent them well. How to work with other people is really important. Everyone always thinks cycling is such an individual sport. But when you’re traveling to Louisville, Kentucky in a van with six other people you need to be able to get along and respect other peoples’ needs. Having Al and Jeremy and Mukunda who have such different backgrounds in the sport all working hard to help make you into the best racer, athlete, and friend you can be is really, really amazing. Being able to go ride with Jeremy for a couple hours is really cool. Seeing Al and Jeremy interact is pretty fantastic. I’m really grateful to have resources like them rooting for me and pushing me to do better. You mentioned college. Are you in school as well as working as a pro cyclist? Yeah. I am. It’s an interesting balance. I’m a freshman at UMass Amherst studying public health. I’d already committed to going to UMass then I got on JAM and they’re so close. It’s definitely been a transition. I home schooled myself part time in high school. Having a full school schedule that’s not flexible has been interesting. More than balancing school, just living in a dorm, eating dorm food, and trying to train has been hard. I can’t just take off for a couple days and go somewhere warm to ride. But there’s also a lot of positives that come out of it that I enjoy. What’s been the best part about being a pro cyclists? There’s so many things that I love about it. In no particular order: I love the fact that I have this excuse to travel all over the place. I think that’s so cool. A lot of kids my age haven’t had the opportunity to travel. Even though you don’t always get to go to the most desirable places traveling for cycling, it’s still really cool to get to go somewhere. Another thing is being a pro athlete and being a woman, I think you have a lot of influence over people, in a good way. I think that women that use it to have a positive impact, especially on the younger generation are really good. I hope to use the influence that I have to be a positive impact for younger girls and get more people into this sport. Not just younger women, young kids in general. 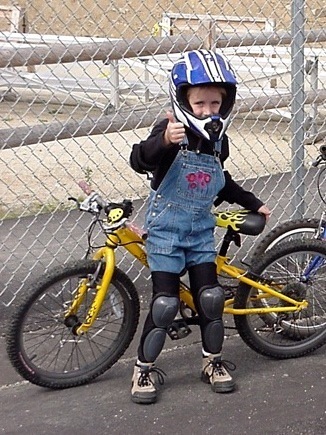 I really want to be a positive role model and get more kids on bikes. It’s really cool to talk to someone and say, yeah my job is riding a bike. You can see they think that is so cool. I love that. On the opposite side of that, what’s been the worst part about being a pro? Or at least unexpectedly difficult part that people might not know about. There’s a lot of really hard things. Especially growing up in this sport trying to race against people 10, 20, even 30 years older than you. I think a lot of people don’t understand that it’s still hard to be young in the sport. People say, “oh to be young again.” But I think honestly for me, it’s been a really hard thing. I’m trying to deal with all the emotions of being a 19 year old girl in college, which there are a lot of, while also trying to keep it together as a professional athlete. So the hardest part of it can be the mental part. Leaving your friends and family for a long time and going and pushing yourself until you break and then picking yourself back up and doing it over again. Trying to keep that in check mentally has definitely been the hardest part. Especially recently. When I was younger it was like, my friends are sleeping over and eating cake and I’m not. Now it’s hard trying to balance having a ton of homework and needing to go do a three hour ride and not having time to hang out with friends. But once you get on a bike and go to a race it definitely starts to feel worth it again. 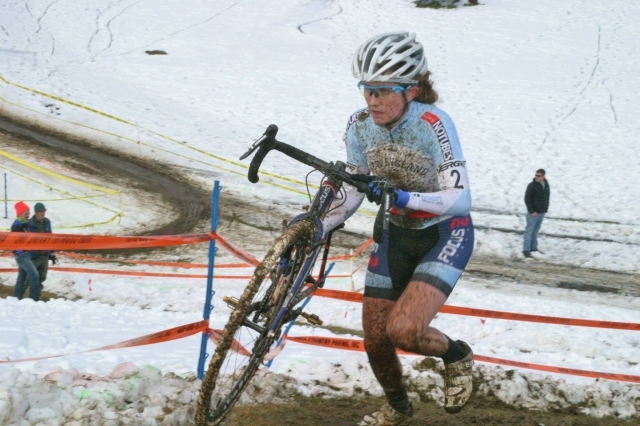 Is it your goal to be a full time cyclocross racer? Ellen Noble is a multi-time national champion. Photo via JAM Fund Cycling. Going full time pro is absolutely the goal. Right now I’m trying to do everything in my power to race as well as I possibly can while still getting my degree. Being in school is really, really important to me as well. I definitely want to graduate on time, with a degree and all that. After that I’m ready to go full pro, even if it means moving over to Europe to do all the world cups or moving to California in the winter to train. I’m up for whatever. I love cycling and I’m willing to do whatever, wherever to get the most out of it. It seems like in professional cyclocross there are just a handful of women who are able to do it without holding down another job. Do you feel like that’s getting better for your generation of racers? 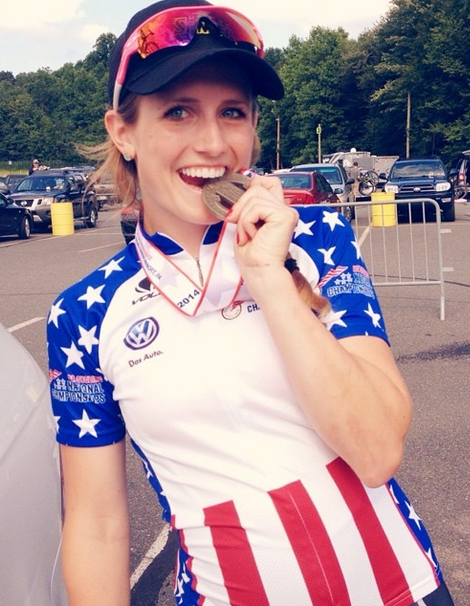 Is it more possible to carve out a full time racing career? I absolutely think that things are looking up. Women hold a part time job often because they need the money because there is a big discrepancy in the pay out for men versus women. But also women and men have a second job because they’re passionate about it. For me I very well could balance a part-time job because it meant a lot to me. To answer your question directly, I think it is changing. The entire dynamic of the sport is improving. Adding the youth women’s world championship event is a huge step in the right direction. It’s taking the girls that wouldn’t even consider going to Worlds and giving them motivation to start training, which is fantastic. I was 6th at Nationals which meant I may have been able to go to Worlds. But for a lot of the other women who finished in the top 20, 15, 10 and were under 23, they weren’t quite as close to the Worlds selection for the elite women. If you have the youth category then suddenly those under 23 girls in the top-20 are like, oh my gosh, I’m there. It’s just going to continue to develop the field of under 23 girls. By the time they graduate to the elite women they’ll have been racing at a world class level for a couple of years. When you start getting women who consistently win like Katerina [Nash], Marianne [Vos], and Pauline [Ferrand-Prevot], sponsors in the industry take notice and you’re going to start closing down that gap between men and women’s salaries. What are some of your long term racing goals? 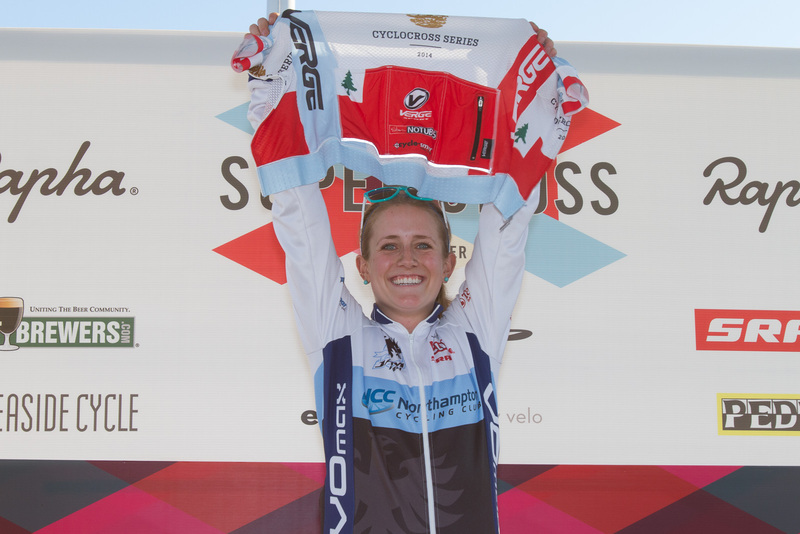 Like any racer really, I would love to be able to go to Worlds and compete for the rainbow jersey. I’ve won a couple Nationals and it’s an amazingly beautiful feeling. I’d definitely like to work towards a couple more. Really, I’m looking at what I can do my junior year for the fall semester to see if I can go to Europe and race more to prepare for my final year as a youth racer. Racing well for my last youth world championship is definitely a priority. I’d also like to make the transition from being a good U23 racer to really making a big storm on the scene with the elite pro women, in both mountain and cross. This entry was posted in Cyclocross, Interviews, Mountain Biking, Racing and tagged al donahue, american cyclocross, ellen noble, jam fund, jeremy powers, mukunda feldman, NECX, new england cyclocross, professional cyclocross racers, women and cycling, women's cyclocross. Bookmark the permalink. It is wonderful how keen you are on cycling! Believe me, your story is so motivating and inspiring! I wish you all the best with your study and moving around the globe to win the world cups!